Pros: Engaging for groups with both pre-readers and readers. Cons: It has a few less-than-realistic scenes of wild animals hanging out together. 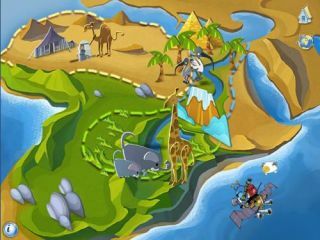 Bottom Line: Highly engaging way for kids to discover Africa's fascinating animals and ecosystems.